Children's developing brains are at the greatest risk from flame retardant chemicals in furniture. OLYMPIA — A bipartisan group of lawmakers want to ban flame retardants linked to cancer, learning disabilities and other health problems from being used in children’s products and furniture. But legislation to do that could fail for the fifth year running if legislators cannot agree on how to ban new chemicals down the road. 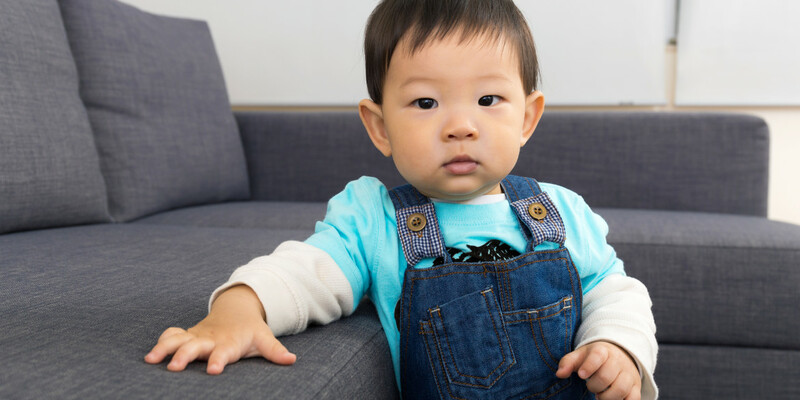 The bill, the Toxic-Free Kids and Families Act (HB 2545), would ban five common flame retardants from upholstered furniture and children’s toys, safety seats and clothing. It also would authorize the Washington State Department of Health to ban additional flame retardants found to be of high concern for children’s health. The House Health Care & Wellness Committee passed an amended bill 8-7 on Tuesday. In past years, versions of the legislation have passed the full House overwhelmingly only to die in the Senate. Republicans have proposed eliminating the Health Department’s proposed authority to ban additional chemicals. That, however, would make the bill a non-starter for the House bill’s sponsor, Rep. Kevin Van De Wege, D- Sequim. Some Republicans on the House health committee voiced frustration, saying they felt compelled to vote no on the bill because they don’t want to give up their authority to ban — or not ban — other flame retardants. Van De Wege, along with health and environmental groups, counter that the ability to ban new chemicals is essential because replacement flame retardants could prove more dangerous. That’s in fact what happened after Washington in 2007 became the first state to ban a group of harmful flame retardants called PDBEs linked with lower IQ and poorer attention and coordination in children, and now found in the blood of almost every American. Some flame retardants that replaced PBDEs had been banned or voluntarily removed from children’s pajamas in the 1970s after discoveries that they cause cancer and alter genes. But these toxic chemicals, called Tris compounds, were never removed from other products and today are commonly added to foam used in furniture, car seats and other baby products. The state needs to stop this game of chemical Whac-A-Mole, bill proponents say. “Without a provision that allows the state to take action on future problematic flame retardants, we’re just going to end up on a toxic treadmill, where we’re going to keep coming back to the Legislature year after year,” said Ivy Sager-Rosenthal of the Washington Toxics Coalition. Children tend to have higher levels of flame retardants in their bodies. They are thought to be at particular risk from the potential effects of the chemicals because their brains are still developing. Studies also show that because children often are on the floor and put their hands in their mouths, they are more likely to ingest the chemicals when they escape from products into house dust and the air. The current legislation, which Van De Wege called “a very compromise bill,” seeks to retain some control for the Legislature. It would delay any agency-proposed ban of a new flame retardant from going into effect until after a full legislative session, giving lawmakers time to overrule the Department of Health. And the agency’s authority to ban new chemicals would expire after five years unless renewed by the Legislature. A bipartisan change to the bill late last session sought to make the measure more palatable to some Republicans by shifting authority to the Department of Health, instead of the Department of Ecology, according to Van De Wege. But business and trade groups say they prefer Ecology to remain responsible for regulating chemicals. The agency already oversees the Children’s Safe Product Act, which requires manufacturers to report if their products contain any of 66 chemicals currently on a list of high concern to children, including the five flame retardants in the bill. The bill would allow flame retardants added to that list to be banned after a public rule-making process. Association of Washington Business lobbyist Brandon Houskeeper said his group has instead proposed that Ecology review flame retardants and make recommendations to the Legislature. That is similar to the process that led to Ecology’s current recommendation to ban the five chemicals in the bill. But Houskeeper says the agency should also have to quantify the risks of exposure to the substances. Chemical manufacturers agree. The mere presence of chemicals in blood or breast milk does not necessarily indicate harm, said toxicologist Thomas Osimitz, testifying on behalf of the American Chemistry Council. “I think it’s important you go past just the detection of chemicals to ask at what levels, and what do those levels mean in the sense of potential health effects?” he told the House health committee recently. Bill proponents argue that if scientists can already prove harm, society has waited too long. Firefighter groups also support the bill because they worry about the long-term effects of exposure to toxic flame retardants that are emitted as furniture burns. And firefighters already have higher rates of certain cancers than the general population, Michael White of the Washington State Council of Fire Fighters told lawmakers. These chemical flame retardants “don’t really work anyways,” he added. Recent changes to furniture flammability standards in California mean that chemical flame retardants are no longer required in furniture there, and because California drives the national market, several large furniture retailers, including Macy’s and Ikea, are phasing out toxic flame retardants altogether. American Chemistry Council representatives and business groups said they would prefer that the federal government take the lead in regulating flame retardants to provide businesses with more regulatory certainty. They also urged Washington lawmakers to hold off while the federal Environmental Protection Agency finishes its own study of flame retardants — the agency has been grappling with the chemicals for more than two decades now — and while Congress debates changes to the Toxic Substances Control Act. The Senate version of the federal bill, passed in December, would curtail states’ ability to regulate chemicals in the future. For her part, Rep. Eileen Cody, D-Seattle, House Health Care & Wellness Committee chair, isn’t inclined to wait around. “We get tired of waiting for the feds to do things in Washington state,” she said. Three bills currently working their way through the Washington state legislature would limit the ability to crack down on groundwater pollution.